Touch ID gives your iPhone and iPad additional protection by allowing access to your device only through your fingerprints. With Apple Pay enabled on your phone, you'll need this extra protection just in case you misplace your phone (and by extension, credit cards.. And here's how you set up Touch ID on your iPhone 5S, iPhone 6, or iPhone 6 Plus. 1. 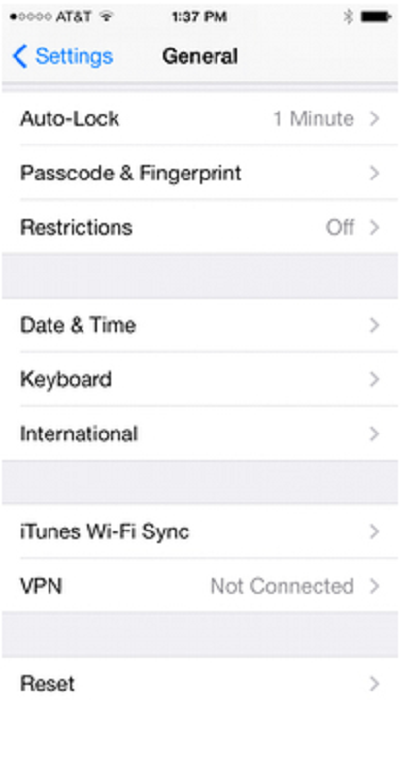 Start by tapping the "Settings" icon on your iPhone. Scroll down the screen and tap "Touch ID & Passcode." 2. 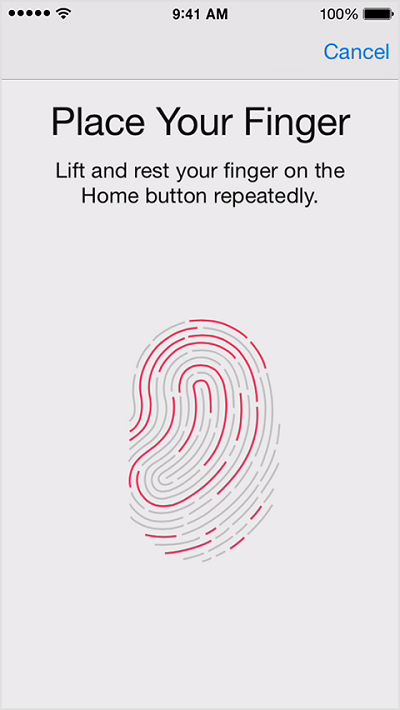 Then, tap "Add Fingerprint" to go to the next screen where you have to place your fingers on the "Home" button. The next screen will ask you the same process as it reads your fingerprint. the last screen will capture the edges of your fingerprint. Tap "Continue" as you tap the "Home" button again. 3. The next screen will confirm your registration. Tap "Continue" to proceed to the next step. 4. Aside from your fingerprint, Touch ID will also ask you to enter a four-digit passcode as an unlock code just in case you are unable to access your phone with your fingerprint. Confirm your 4-digit passcode and continue. Touch ID is already enabled at this point. 5. You can add more fingerprints. Just tap the "Add Fingerprint" link and follow the same procedures in the previous steps. 6. 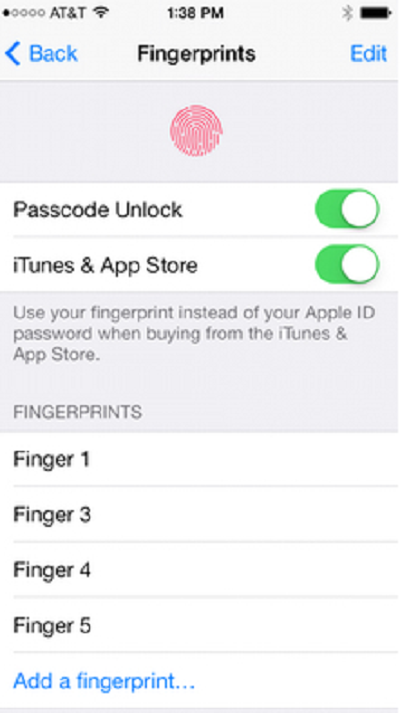 At the top of the "Touch ID & Fingerprint" screen, you can adjust the settings which you want protected by Touch ID. If you enable iPhone Unlock, you will have to use Touch ID every time your phone goes to sleep mode. How to iphone 6 touch disease? Getting problems with iphone 6 touch screen HELP ME!!! !